Source: Genuine. Case material: Resin. Model: W-42H. Clasp type: Strap buckle. ONLY THE DISPLAY CLOCK. NO CLOCK STRAP, BROKEN. original watch. Dial window material type: Mineral. Accuracy: /-15 seconds per month; battery CR2016; approx. battery life: 2 years. Case material: Resin-And-Stainless-Steel. Model year: 2014. About Product. Australia, Belgium, Brazil, Canada, Croatia, Denmark, Estonia, Finland, France, Germany, Gibraltar, Great Britain, Hong Kong, Hungary, Ireland, Israel, Italy, Japan, Latvia, Lithuania, Luxembourg, Malaysia, Malta, Netherlands, New Zealand, Portugal, Singapore, South Korea, Spain, Sweden, Switzerland. Case material: Resin. Band material: Resin. Bezel material: Resin. Dial color: Grey. Dial window material type: Acrylic. Display type: Digital. Item shape: Oval. Band color: Black. Band material: Resin. Clasp: Buckle. Band color: Various. Dial window material type: Mineral. Display type: Digital. 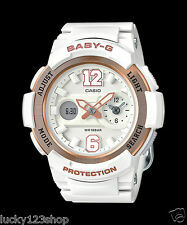 Protective mineral crystal protects watch from scratches. Case material: Stainless Steel. Part number: AW 80.7A2. 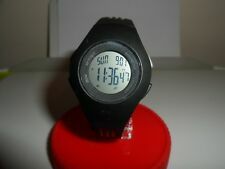 CASIO AW-80-7A2 Case: From Casio Website: 47 (H) x 40 (W) x 14 mm (thickness). Model number: AW-80-7A2. Band material: Black Rubber. Australia, Belgium, Brazil, Canada, Croatia, Denmark, Estonia, Finland, France, Germany, Gibraltar, Great Britain, Hong Kong, Hungary, Ireland, Israel, Italy, Japan, Latvia, Lithuania, Luxembourg, Malaysia, Malta, Netherlands, New Zealand, Portugal, Singapore, South Korea, Spain, Sweden, Switzerland. Model number : 428BLK. Part Number : 428BLK. It is fastened with a black plastic/resin strap and has a LCD dial. The watch has a date function. Dial Window Material Type : Glass. We will do our best to turn any less than satisfactory experience into a positive one.